A Digital Initiatives Unit team member manages Decker Library’s tumblr. In 2017, I developed our first strategic plan for social media. The plan consists of an audit of our own accounts, a competition audit, tracking, evaluation, and goals, as well as recommendations. 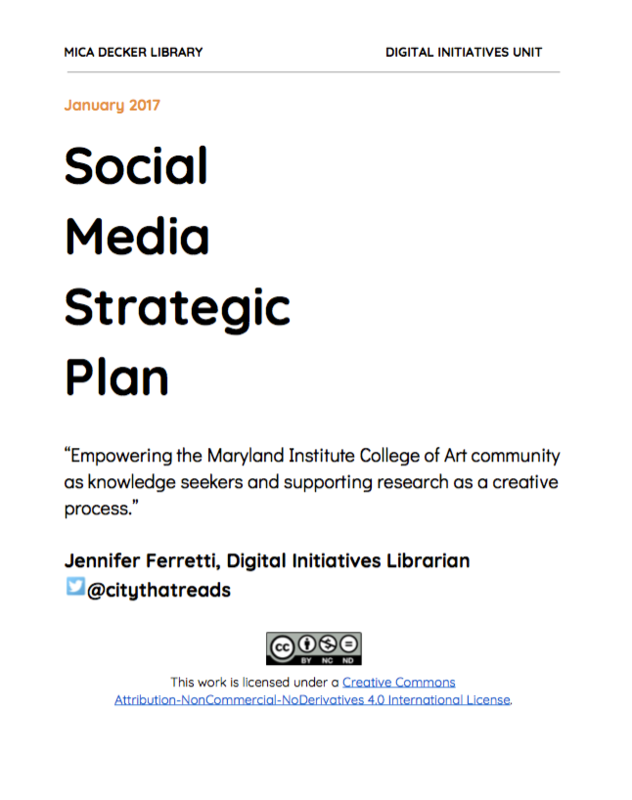 Decker Library Social Media Strategic Plan by Jennifer A. Ferretti, 2017.